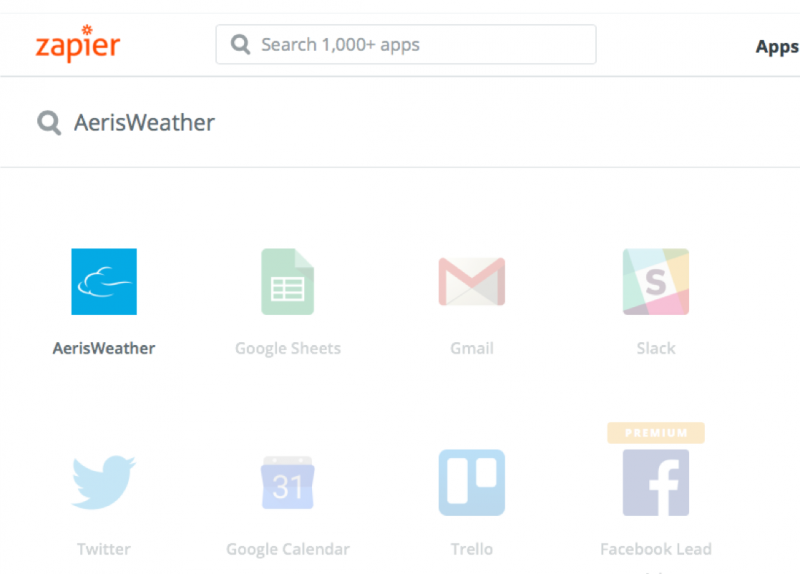 Quick, convenient integrations of Aeris products and services. 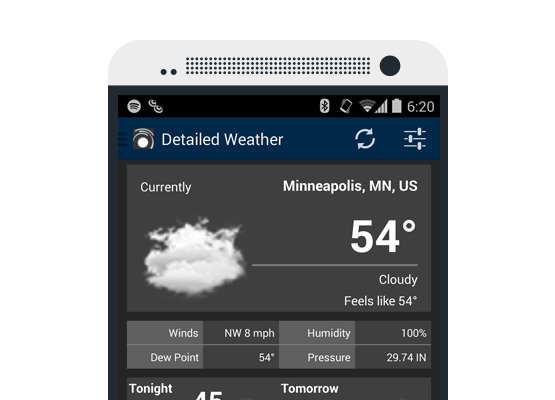 The Aeris Android SDK helps developers quickly and easily add detailed weather content and dynamic maps from AerisWeather to any Android application. 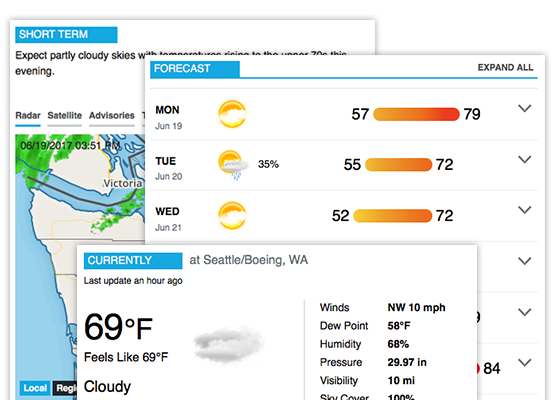 A rich set of client-side functionality for accessing the Aeris API, rendering weather maps, widgets, and more. 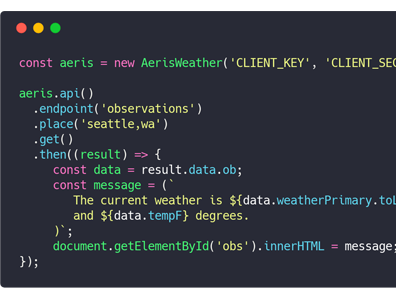 Conveniently add weather content and map data from our Aeris API to your Python applications. 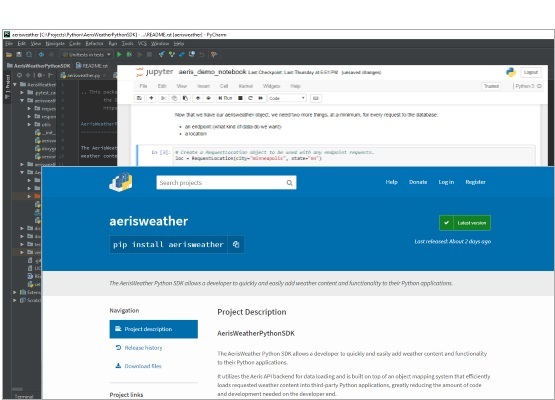 Integrate weather data with popular business software through connected apps and automated workflows — without any complicated code. 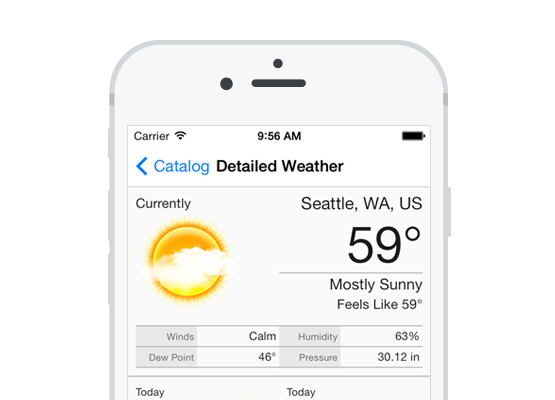 Follow our Aeris Developer Twitter account for developer-specific news and tips.